Bring out the best of seersucker suits is not all that difficult or complicated. In fact it is quite easy when you follow few simple steps. But before you get into picking up the right men's seersucker suits, you ought to know about its features. 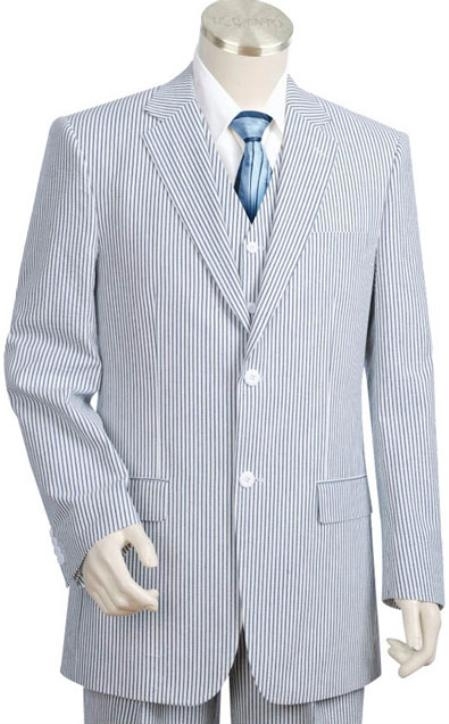 Seersucker is an all cotton fabric that commonly comes in striped or checkered style and is predominantly used for making suits that are appropriate only during summer and spring seasons. These suits help you to project a calm and cool image and they help you to stay cool throughout the day as well. They are one among the best styles you could find for your daily office wear during summers apart from linen and cotton suits. They are woven in such a way that threads combine together giving the suit a wrinkling appearance and this feature helps for better heat dissipation and air circulation that helps you to stay cool and battle hot summer days. If you are living in a tropical country, this suit could be worn for 365 days around the year as a business wear. The best part about these suits is the fact that they help you to get both formal as well as casual outlook for various events and occasions depending upon how you pair them and with what you wear them. You can look dashing and professional for formal business meetings as well as cool and composed image for casual evening parties. While purchasing men's seersucker suits always see to that you purchase high quality stuff. Never compromise over quality and comfort. You might have to spend a little more out of your pockets, but owing to its quality it is certainly worth it. Pair your seersucker suit with the right formal shoes. Pair it with the right shirt and tie combinations and as for a casual gathering, a simple light colored shirt would be sufficient. 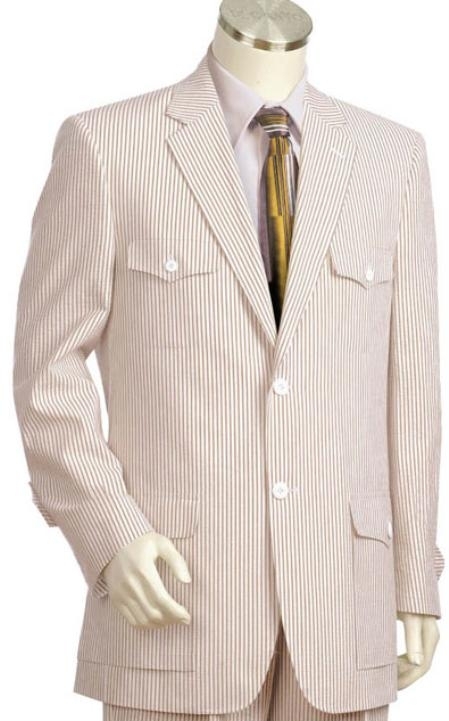 Seersucker suits generally come in light colors. However, you do also have the traditional black and navy blue colors.